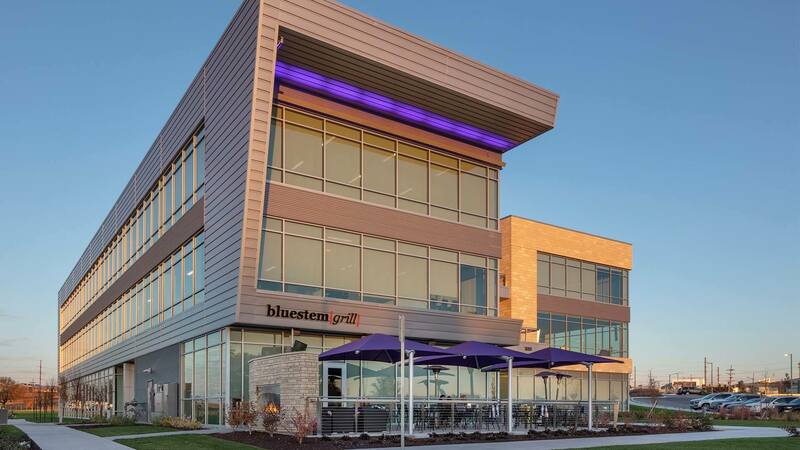 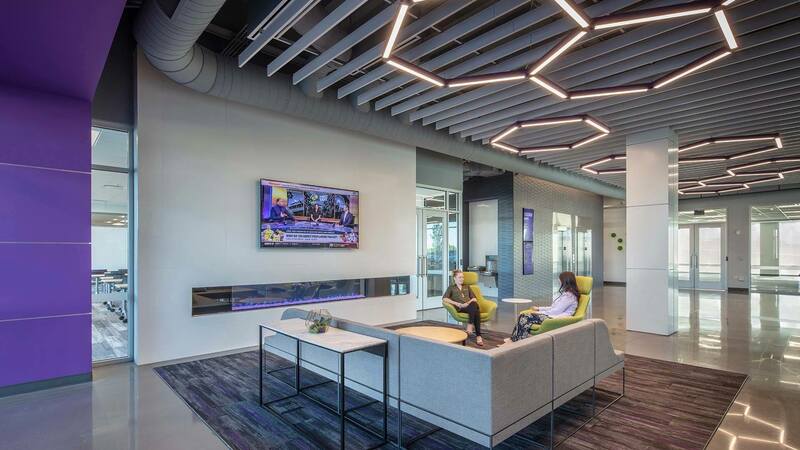 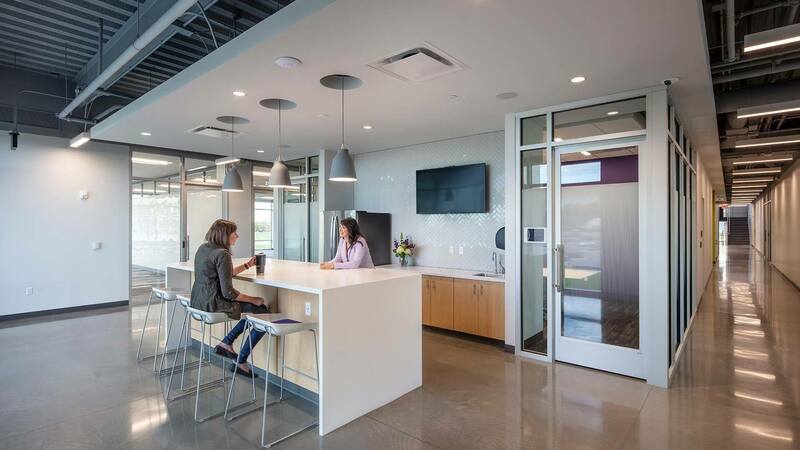 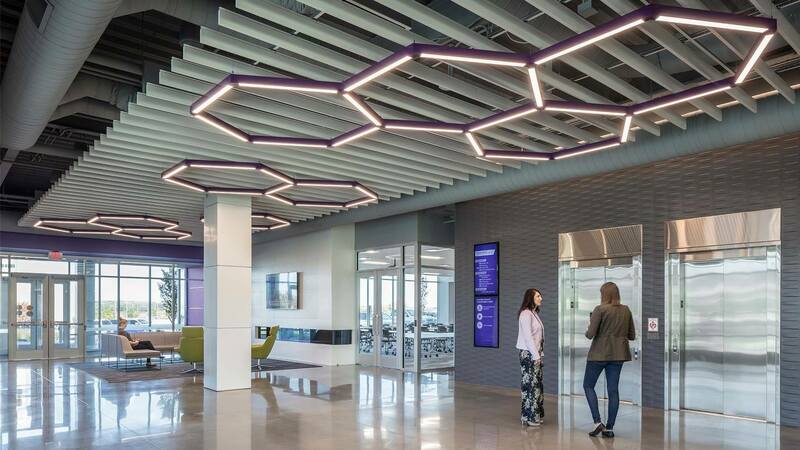 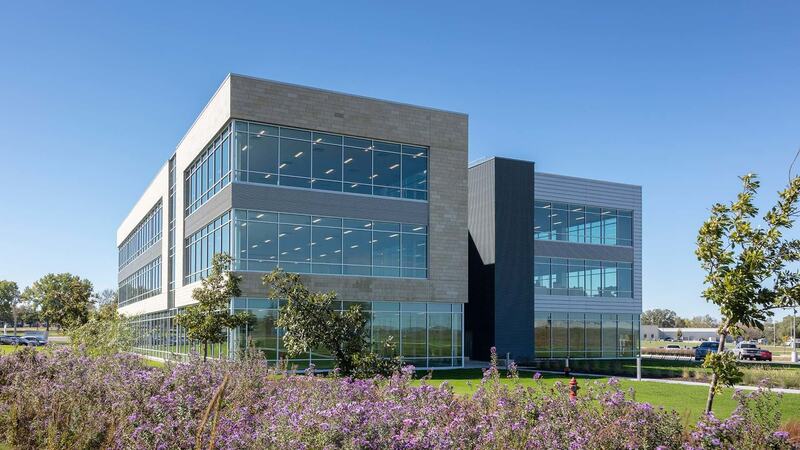 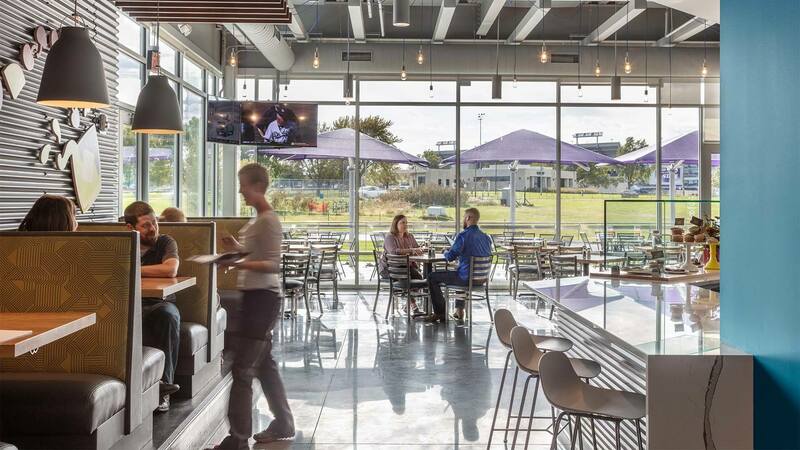 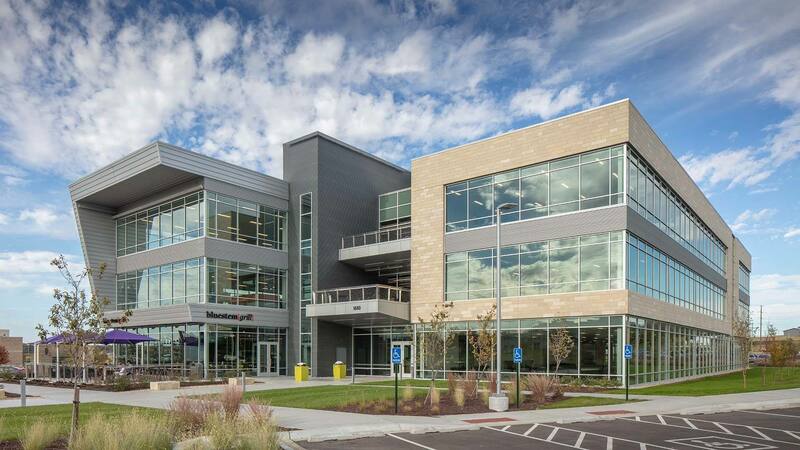 The vision behind the Kansas State University Office Park was to create a building that reinforces the university’s mission to be a place for innovation and collaboration, while taking advantage of the unique site location as the north gateway to the campus. 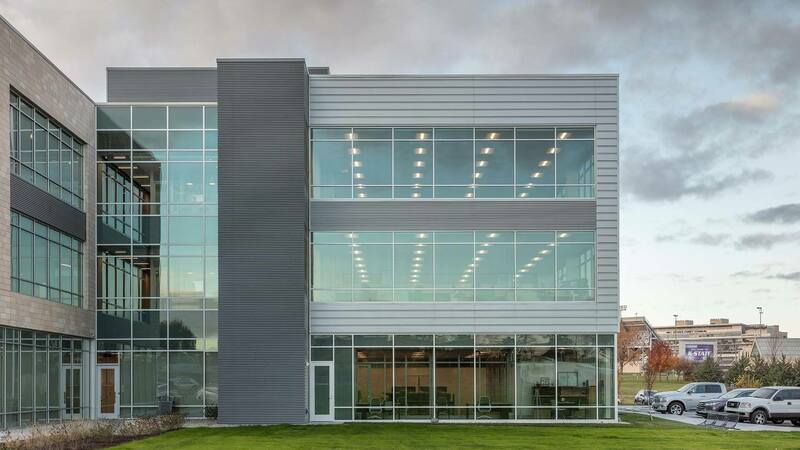 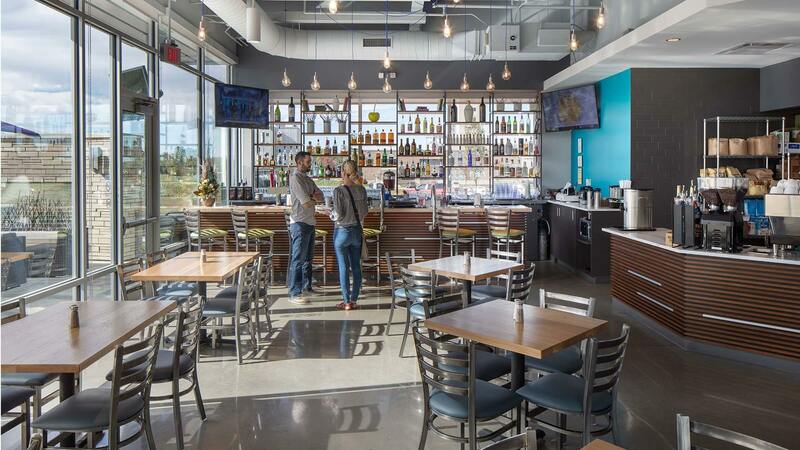 The resulting three-story building includes a cafe, event space, larger tenant spaces, and building support systems on the first floor. 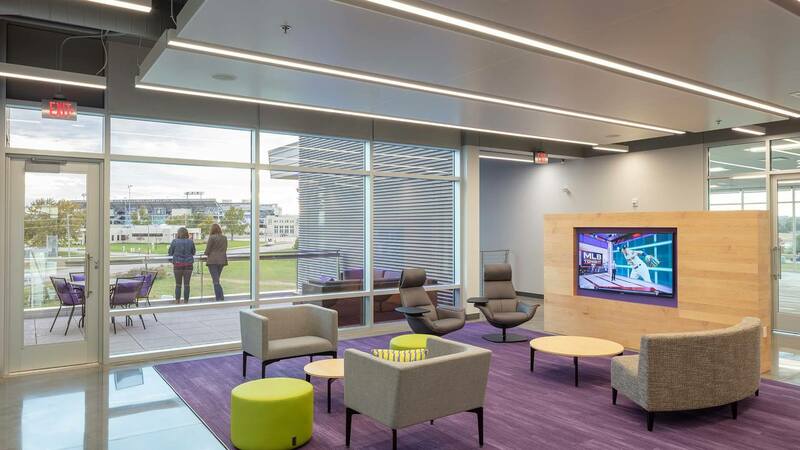 The second and third floors will accommodate smaller tenants ranging from 1,200-2,400 square feet, and will offer shared amenities including formal and informal collaboration spaces, conference rooms, employee break areas, and an outdoor terrace that overlooks Bill Snyder Family Stadium.